Screen Gems revealed this teaser trailer for Paul W.S. Anderson"s Resident Evil: The Final Chapter (2016) that is over 2 minutes in duration, so it feels more like a full trailer. This trailer begins with Alice (Milla Jovovich) returning to The Hive in Raccoon City. We see a lot of cool footage and action scenes. Although so Resident Evil Movie franchise is not the best, they have been a fun ride that I have enjoyed and watched each one. Resident Evil: The Final Chapter is the absolute last film in the franchise putting it all to rest and closing the story. The film will premiere in movie theaters on January 27, 2017. 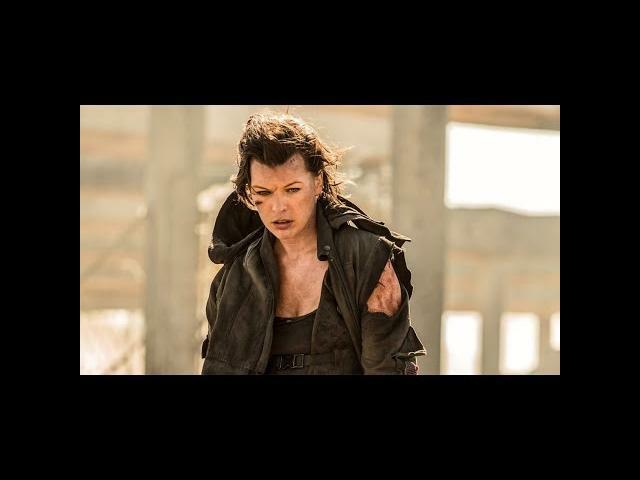 Ruby Rose, Milla Jovovich, Ali Larter, Iain Glen, and Shawn Roberts star in Resident Evil: The Final Chapter. Picking up immediately after the events in Resident Evil: Retribution, Alice (Milla Jovovich) is the only survivor of what was meant to be humanity"s final stand against the undead. Now, she must return to where the nightmare began - The Hive in Raccoon City, where the Umbrella Corporation is gathering its forces for a final strike against the only remaining survivors of the apocalypse. Alice makes her last stand in this series finale. Starring Mila Jovovich, and Ali Larter.